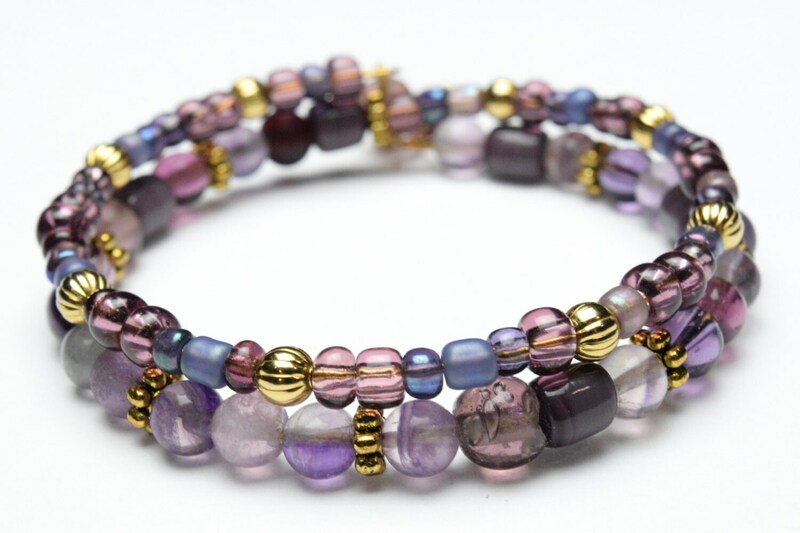 ROMANTIC JEWELRY - Made with purple and plum glass beads on a gold memory wire. FITS EVERYBODY - This is multi-strand adjustable bracelet is made with memory wire so that can extend longer to fit most wrist sizes. It will fit loosely like a bangle on smaller wrists and more snug on larger wrists.